Press a key on the App and the synth plays. Wow. Thanks Matt. Empowering. MIDI IN and Bluetooth MIDI settings don't seem to work so no driving the Synth from external sources like Logic Pro X, etc. 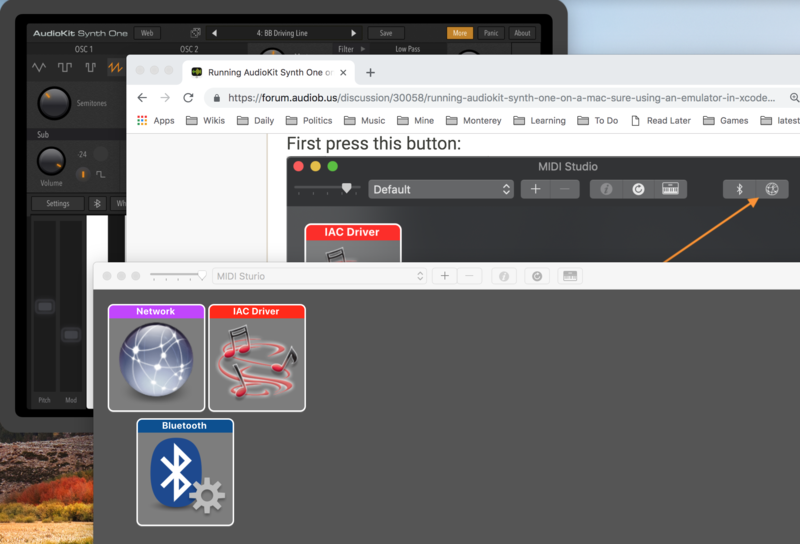 But it opens the door to maybe building an App using AudioKit's code for the really hard parts and Apples code for the GUI stuff. Needed to watch a Youtube video to get the Xcode project details but it wasn't hard to do but I've used GitHub before so somethings were familiar if not Xcode itself. I'll probably start with the Swift Code examples to learn how to make my own Apps. 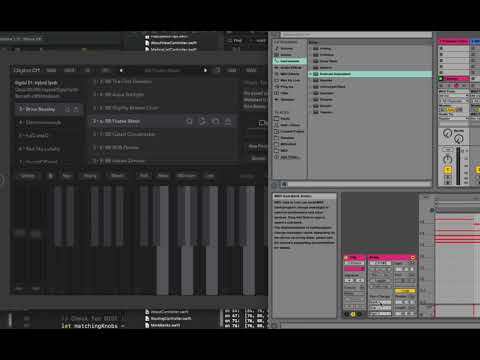 If you're using Logic or Ableton, you'll want to setup an "external instrument" on a track. 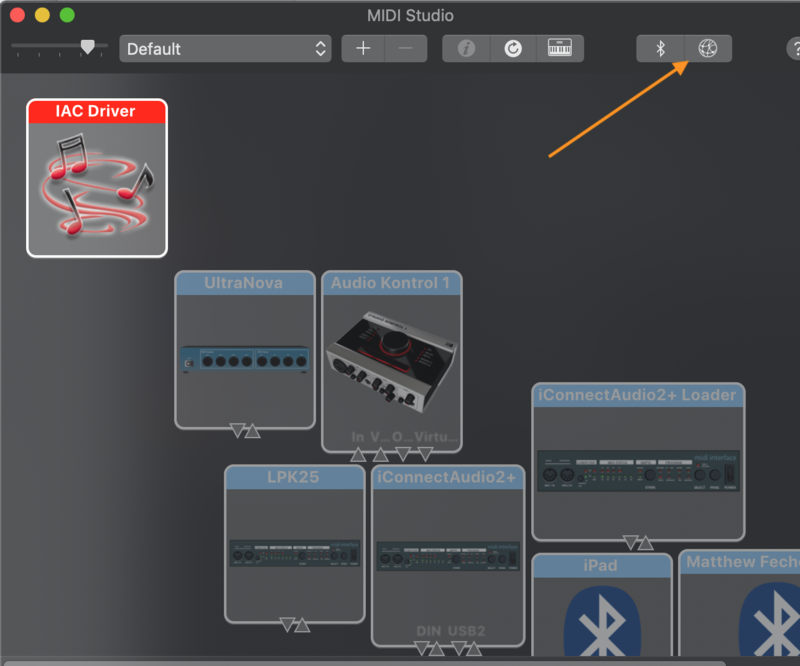 To route MIDI to the simulator use the "Audio Midi Setup" app on your mac. Make sure the app is running in the app simulator. 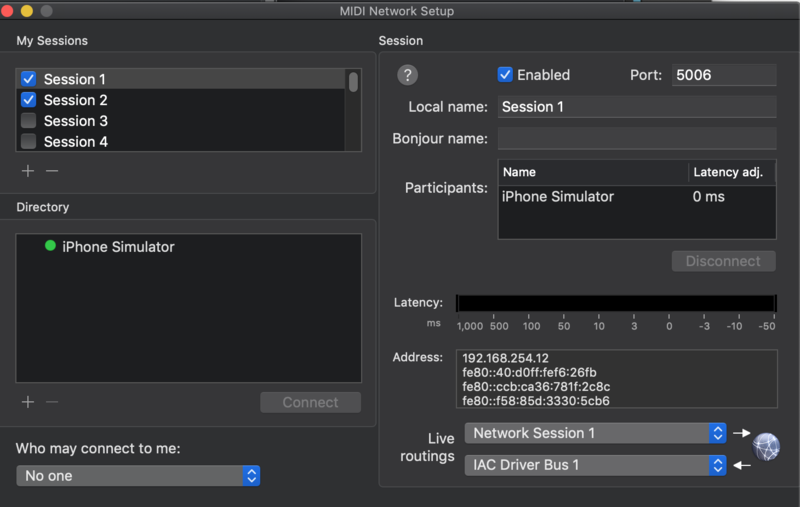 Then, you'll choose the "iPhone Simulator" when it appears and then "connect"
Setup your external instrument in Logic to send MIDI to that routing. And, you're good to go. The downside is that you have to re-connect every time you run the app in the simulator. But, it works. The MIDI icon and Bluetooth Icons are no there. My simulator is in the back. My MIDI Studio is up front without the MIDI,Bluetooth Icons I see in yours. It's not your job resolve this but something is different for my install/config of the simulator's MIDI. My screenshot is of Mojave's MIDI Settings. 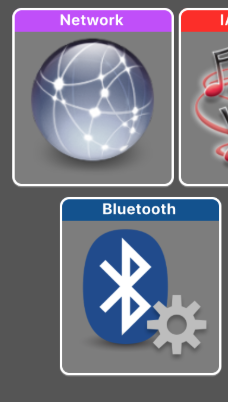 Luckily, those same Network & Bluetooth buttons are in the screenshot you posted. Only, bigger. Very sneaky, Apple. You can just hit the big Network button. Which will take you to the same screen as the smaller Network icon in Mojave. Thanks Matt... 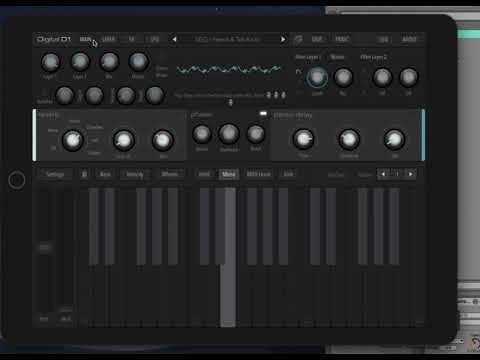 I was able to have an external keyboard activate the iPhone Simulator's Synth One App! And then with chords it started crackling like crazy. It's always something. I probably need to adjust the buffers but it was great to see the MIDI "session 1" network work end-to-end. IOS is so much easier to use than these OS X configuration schemes for MIDI, Audio and Network Sessions. There are learning curves for everything. But I'll chalk it up as a win! I think I'll start looking through the tutorial examples to understand more how code makes the magic happen using AudioKit Swift examples. But the Objective-C experiments will be "on the roadmap".